single dad I have one grown son. He lives at home and why not. I would have 3 bedrooms and an empty nest. It would make no sense to have him move out right now. 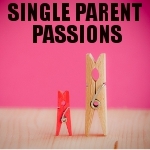 I am looking for other single parents for friendship and possibly more. I am open to most things and after having not dated in 15 years...I think it's time to start learning again!